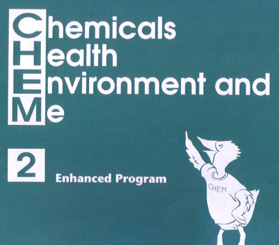 science concepts related to chemicals, health, and the environment. how to collect, process, and analyze information. how to use scientific evidence in decision-making. A Kit containing the equipment required to conduct the activities with a class of 32 students. The Teacher’s Guide provides specific strategies to facilitate discussion and assess student learning after each activity. It also includes materials to help teachers integrate science with other subjects in the elementary curriculum.